The practice of Life Coaching arose out of athletic coaching in sports and is broadly defined as a collaborative process of helping someone improve performance or satisfaction in some aspect of their lives. In contrast with psychological counselling or therapy which is often focused on pathology rooted in past experiences or flawed thinking processes (cognition), Life Coaching is focused more on the hear and now by working towards improving the present as well providing guidance and tools for achieving future goals in a client’s professional, relationship, creative or even spiritual aspects of life. Although distinct from the field of counselling psychology or psychiatry, Life Coaching is still fundamentally grounded in models and approaches from psychology and so the evolution of Life Coaching is closely tied to the evolution of the science’s behind human psychology and flourishing. Although this is a very broad categorisation with a great deal of overlap, one can still see an expanding view of human psychology and wellness evolving first through a focus mainly on pathology and materialistic models of mind (Psychoanalytic and Behavioral), followed by happiness and wellness (Humanistic) and now integrating the holistic, spiritual and transcendent aspects of the human experience (Transpersonal). This relatively new (since around the 60’s) Fourth Force of psychology called the transpersonal, integrates aspects of the mind, body and spirit into a broader and more holistic view of human wellness and flourishing. 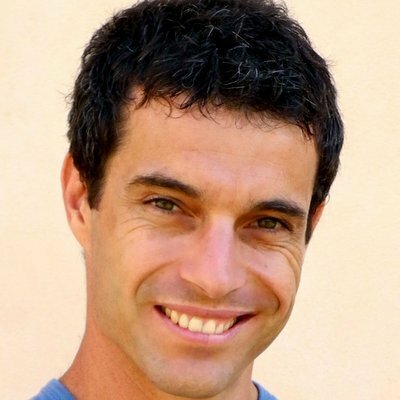 What makes this latest evolution of psychology so unique, is that alongside the traditional neurological, cognitive and other approaches to understanding mind and consciousness, transpersonal psychology embraces science, research and approaches to wellness common to Eastern wisdom traditions as well as peak, mystical, near death and awakening experiences which include altered states of consciousness and self-transcendent states. At least as far back as the beginning of recorded history and described in religious or spiritual texts from many traditions – particularly in the East – we find evidence that human’s have long had the capacity for powerful altered states of consciousness which break through the restricted boundaries of ego and produce profound alterations in our relationships to self, other and the cosmos. These self-transcendent “awakening” experiences have typically been identified with religious, mystical or shamanic contexts. However, as a result of various studies in transpersonal psychology, we now know these profound states of psychological transformation are far more common than we first thought and tend to occur most often outside of a religious or spiritual context 2. 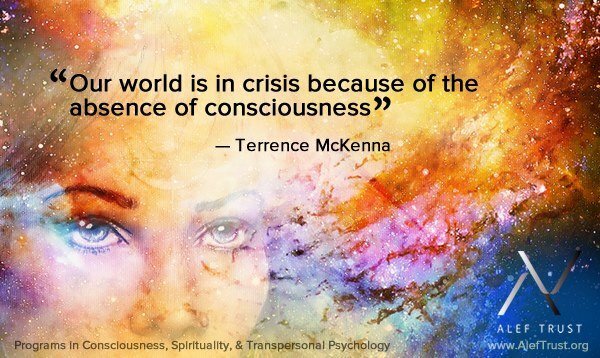 Hence the term “awakening experience” (as opposed to religious or mystical experience) is now preferred and more accurately represents the secular (non-religious) and far more common expression of these profound transformational and psychological experiences. A person’s psychology, perspectives on life and sense of self all tend to change irrevocably following such awakening experiences. 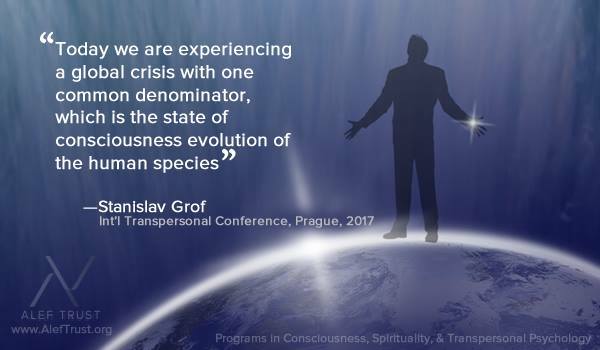 Individuals who experience these transpersonal awakening experiences tend to become aware of their fundamental interconnectedness with all life which often leads to shifts of perception and changes in behavior where they become more compassionate, altruistic and often re-evaluate their goals, careers or personal values. Perceptions of self and ego expand to include other people, all life, and even the cosmos. Some have even speculated that these awakening experiences are not only far more common than previously thought, but universal to all human’s and the capacity is simply dormant, awaiting the right situation or experience to be revealed and one day along our evolutionary path, may become the way we all experience the world all the time. No doubt these powerful and transformational self-transcendent experiences shed light on the higher functions and potential of human consciousness. Therefore, the practice of Life Coaching would be remiss and incomplete, to ignore the transpersonal aspects of human psychology. 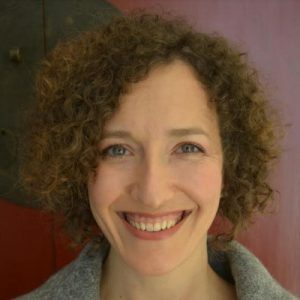 Fortunately, the practice of Transpersonal Coaching has grown in recent years and Alef Trust is pleased to have one of the leaders in the field, Jevon Dangeli, as part of our esteemed faculty. Discover how coaching processes can trigger and support both transformation and spiritual awakening. 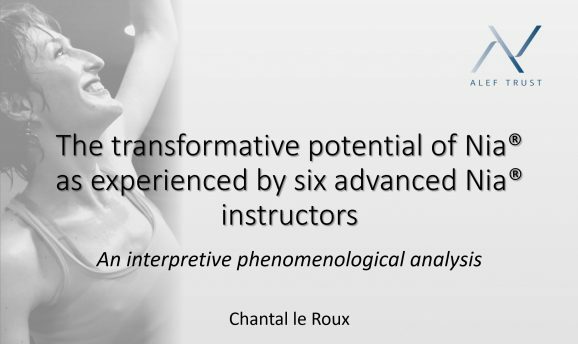 Experience, first hand, the effects of transpersonal coaching processes through direct training and supervision with the course tutor and peers through live webinars and interactive forums – supported by a comprehensive range of audio, video and text-based training resources. Develop coaching skills through a small applied project. For more information on our new post graduate certificate programme or to register for the February intake, please click on the link below. (2) Taylor, Steve (2012). Spontaneous Awakening Experiences: Beyond Religion and Spiritual Practice. The Journal of Transpersonal Psychology. 44(1). (3) Taylor, Steve (2017). The Leap: The Psychology of Spiritual Awakening. Carlsbad, CA: Hay House. According to Mezirow, Transformative Learning Theory is based on the idea that personal experience is a critical component in a learning process intended to bring about transformation. The theory suggests that it is this experiential component of the learning process, which encourages interpretation and evaluation which leads to reflections on meaning, and ultimately changes in behavior, mindset or even beliefs. In other words, a personal or “perspective transformation” resulting from the learning experience can occur within a transformational learning paradigm (Mezirow, 1991). Rather than simply reading or viewing new information and attempting to memorize facts or figures, the content of the material is both a form of new knowledge that relates to one’s personal, psychological or spiritual views and is presented in such a manner that the student is expected to “practice” or “implement” the knowledge into their own lives. Given this emphasis on actually applying the knowledge to one’s own life through the learning process, it is not hard to recognize the critical role the educator also plays in the delivery of a transformative learning process or program. According to Taylor (2000), one of the core ingredients of a transformational learning process is found within the context of relationships, particularly between the students and the educators. Rather than simply passing on knowledge to students to be memorised, the educator becomes something of a facilitator of transformative learning through encouragement of critical reflection on that information, as well as acting on that new knowledge and applying it to their own lives (Mezirow, 1997). This aspect of acting upon the new knowledge and “living in the new perspective” (Baumgartner, 2001. p. 17) is thought to be absolutely critical to the transformative learning process. The role of the transformative learning educator is to create a supportive learning environment and an encouraging and facilitating structure which can lead to a deeper understanding of one’s self and then to facilitate behavioural change which may lead to personal transformation. It is through this supportive and trusting social context encouraging participatory dialog between student and educator, that critical reflection comes to the fore with methods to implement any shifts in perspectives, beliefs or self-image into the student’s life (Mezirow, 2000). The content of a transformative learning process tends to be of a deeply personal, emotional, psychological, creative, spiritual or philosophical nature. Topics might include the expansion or alteration of consciousness; explorations into creativity; energy-healing; movement therapy; dreaming; shamanism; meditation and spirituality of many forms. All of which can touch on deeply held personal values and meaning. Given the deeply personal, spiritual, religious or psychological content of a transformative learning process, a common experience which can occur is one of a “disorientating dilemma” where a discrepancy is realised between what a person has always assumed or understood about the world or themselves, and something recently experienced, heard or learned (Cranton, 2002). This “disorienting dilemma” is similar to cognitive dissonance where one struggles to maintain two contradictory bits of knowledge such as “it is important to save the environment” yet “I drive a car that pollutes the environment”. Although it is often fairly easy for us to maintain or even justify these contradictory bits of information, when they touch on deeper aspects of meaning, values, self or assumptions about the world, they can become triggers for personal transformation. When we are confronted with these discrepancies between what we have always assumed about ourselves or the world, the resulting “disorienting dilemma” can lead to a process of “critical reflection” in order to work through existing beliefs or assumptions in light of the new knowledge and possibly re-evaluating those beliefs or assumptions and allowing them, allowing YOU, to transform accordingly (Cranton, 2002. Taylor, 2000). What does it mean to be a “good person”? Am I happy in my life? Am I on the “right” path in my career, family or spiritual direction? Am I serving my deepest emotional or spiritual needs? Will earning more money make me happy? Can I accept that I will die one day? Ultimately it is how we reflect upon these sorts of questions and the effect they have on our “meaning structures” that form the foundations for the deep and reflective changes and personal growth which can occur during a transformative learning process or program (Pappas, 2016). 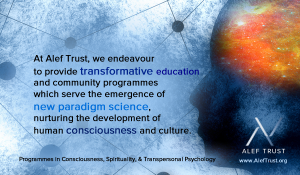 The Alef Trust has been delivering online learning programs in consciousness studies and transpersonal psychology since 2012. Yet, our faculty’s experience in delivering transpersonal graduate education goes back decades, including 20 years of teaching online variants of transpersonal psychology programs at Liverpool John Moores University in the UK. 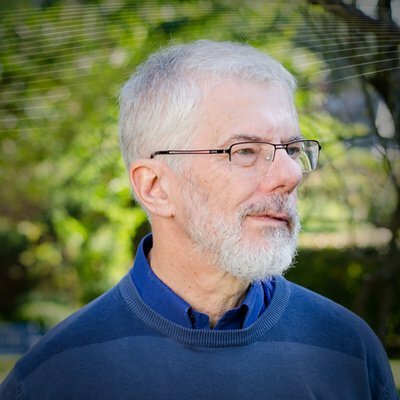 Our director Professor Les Lancaster is President of the International Transpersonal Association (ITA), and our international faculty is deeply involved in many professional networks and organisations, promoting spiritual and transpersonal approaches to personal development and professional practice. 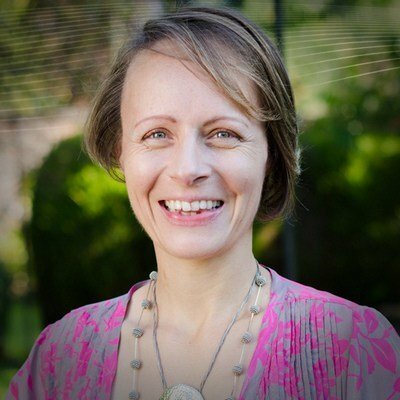 At the Alef Trust, as we pursue transpersonal studies within the online learning context, we continually examine our approach to teaching, asking what it means to be holistic and experiential educators working at a distance. Transpersonal online learning presents many unique challenges and opportunities. We approach these with a wide-angle lens, continuously evolving our ways through which the multi-facetted pedagogic processes that underpin the study of transpersonal ideas can be realised within online learning environments. Entering into the world of research and scholarship in the study of consciousness and spirituality is, we believe, intrinsically transformational. There have been major inroads into the science of consciousness over recent years, with many recognising dynamic synergies between, for example, neuroscientific research, quantum mechanics, and traditions associated with mysticism. Academic study can open new vistas on the human mystery and the place of consciousness within the broad sweep of our understanding of the cosmos. Many scholars are coming to recognise that in some complex way, consciousness is a fundamental presence in the universe as a whole, and that a reductionistic perspective will not enhance our understanding of what it is to be human. It is this enriching view that lies at the core of our teaching with the Alef Trust. A transpersonal pedagogy embraces a whole-person approach to learning. The curriculum of the Alef Trust’s online graduate programs in Consciousness, Spirituality and Transpersonal Psychology features experiential, embodied, creative and relational components alongside academic tuition, drawing on spiritual traditions, contemplative arts, and creative arts, seeking to balance intellectual with intuitive modes of knowing. Our overarching hope and aim is that our programs may, as Rowe and Netzer (2012) put it, “contribute to whole-person transformation and lead to social applications for a more sustainable world” (p. 1). As transpersonal teachers working at a distance with students who are sometimes thousands of miles away, we have identified four key principles which we apply to facilitate whole-person learning online. These are: presence, embodiment, community and relevance. On mundane levels, we achieve presence through consistent and quick communication with our students, giving them a sense of being heard and seen. We endeavour to nurture one-to-one contact throughout a student’s learning journey, e.g. through a personal tutor team who accompany students during their time on the degree programs. We also endeavour to depict clearly what students can expect from our online programs and how they can make the most of our online learning offer and tools. We also continuously consider issues of netiquette and cultural diversity, aiming to create a safe and inclusive environment, sensitive towards people from all walks of life. Ultimately, the notion of presence runs deep, involving congruency, the embodiment of the values we cherish, walking the talk. As we work online, we work with intention … co-creating online spaces as sacred vessels, within which our students’ journeys can unfold and flourish. As transpersonal educators we traverse the borderlands between academia, personal growth and spiritual praxis. It is relatively straight-forward to give a lecture online, but enabling experiential, embodied immersion requires the courage to experiment, testing the limits of the virtual environments. The Alef Trust utilises Sakai, a Collaborative Learning Environment (CLE) featuring a range of standard tools for online education: amongst them forums for asynchronous discussions and a webinar facility for live events. Experiential work may be facilitated via written instructions or podcast (where students work independently and report back on their experience), or via live webinars. Holding a live space online can be particularly challenging, as well as exhilarating. We share a virtual space with people from around the world, often involving participants from several continents. Here we may be able to see and hear each other, yet we are challenged to read the subtleties of non-verbal, embodied communication through webcam images and microphone sounds. The connection can be fragile, voices and faces can be distorted. Furthermore, we cannot determine learning context for the student who may be at home or at work or on the move! We have had students joining us live from their car, on busses and from Internet cafés in exotic places, like the Australian outback and the Amazon rainforest! Yet online webinars can be intimate, offering glimpses into people’s private spaces and family life – family members or friends appearing in the background or looking curiously into the camera, smiling and waving. Pets can make casual appearances. Bringing the learning space into one’s home can engender feelings of close connection. And despite the distance between us, we find ways to engage with each other through the body, integrating meditation and contemplative practices into live sessions, offering gentle movement work in front of the screen, and enriching lectures and discussions with creative and expressive arts exercises, utilising forums and live chat facilities. It is through these embodied components that we deepen the learning experience, utilising somatic, intuitive and creative ways of knowing which pave the way for (trans)personal growth. Throughout the Alef Trust we nurture a sense of community, bringing students from across all programs together, not only by creating spaces for extra-curricular activity and exchange, but by putting the community at the heart of our learning offer. Alongside community forums and regular live get-togethers, we encourage students to come together in groups, to explore shared interests and to offer peer-support. Graduates of our courses stay on in mentoring roles, supporting newcomers to the community. Monthly ‘Soul Space’ sessions offer live meeting spaces informed by expressive arts principles, which deepen connections and relationships. The diversity of our international and professionally mature constituency affords our students and teachers a unique exposure to a broad range of perspectives which can be eye-opening, inviting revaluation of assumptions and expansion of one’s point of view. As Lowe (2010) suggests, “The importance of peer relationships in an online community cannot be underestimated. […] The community of learners is also the vehicle by which formation is nurtured” (p. 7). 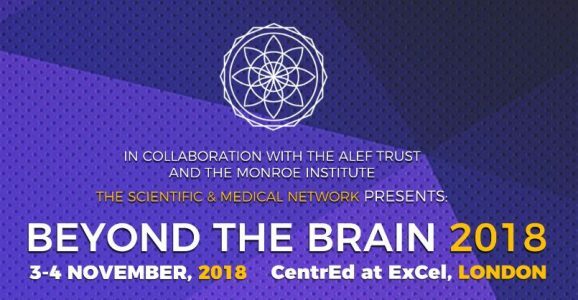 The Alef Trust’s academic programs are framed by a focus on personal development which means that we place particular emphasis in many of our course modules on encouraging students to apply their learning, helping them identify ways to integrate transpersonal values and approaches into their professional and private lives. Like other transpersonal educators, such as Braud (2006) and Netzer & Rowe (2010), we believe that spiritual ideas and principles can be understood only if they are lived and made relevant in one’s daily life. In year 2 of the Master’s program, for example, students undertake a 3-month period of Integral Practice (e.g. Wilber, Patten, Leonard & Morelli, 2008), designing and implementing a schedule of practices to exercise bodily, intellectual, emotional, spiritual, and interpersonal aspects of the self to facilitate a deeper attunement to, and unfolding of, their unique individual potential within our deeply interconnected world. 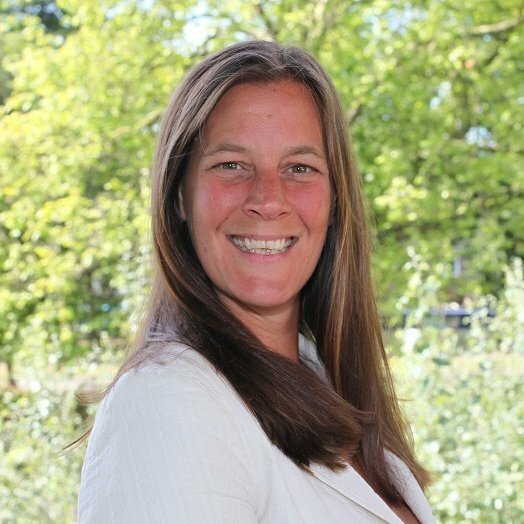 “This Master’s course has changed my life more than I could possibly have imagined in the beginning. In my experience it is not a study to be undertaken by the faint of heart. For it requires self-searching. It was a long time since I had ventured into the waters of academia and that took quite a lot of getting used to. But it was the combination with the ‘soulfulness’ that appealed to me. What happened was that I learned to articulate more clearly what I think and why I think it. I also learned to bring in my creativity. It has brought together seemingly disparate areas of long standing interest for me such as ecology, consciousness studies and therapy and allowed me to discover what it is that connects them all and to experience that connection in myself. What I hoped at the beginning was to find others who share my vision and my interest in the development of a new paradigm in science. Although the study is mostly online, and that can be difficult at times, it also creates a real sense of there being a world-wide network of like-minded individuals. This sustains me at a time when we are experiencing tremendous upheaval and uncertainty in the world.” ~ Online Master’s program graduate. Register TODAY for Meditation & Mindfulness Starting Feb. 2019! What exactly is mindfulness and where did this simple psychological and spiritual practice get its start? Why is everyone doing it and why are so many doctors recommending it for their patients? The first part of this question – what exactly is mindfulness? – has a surprisingly simple answer. Mindfulness is the psychological process of shifting one’s attention to your thoughts and sensations of the present moment, while not making any judgement’s (or evaluations) about those thoughts or sensations. Our thoughts are often ruminating about events that happened in the past or making plans for something which will occur in the future. To be mindful is to shift that attention to the here and the now and one of the most commonly used tools to re-focus the attention is to follow your own breathing. “I am breathing in now“….”I am breathing out now“. Or, you can simply count your breaths and keep your attention gently focused on each breath and how your throat, lungs and chest move in response to your breathing. Yes, it really is as simple as that but the wonderful thing is that this very easy practice which anyone can do at any time and any place, has many emotional, psychological and other health benefits which have been confirmed through a growing body of scientific evidence. We can trace the history of mindfulness back to the contemplative and meditative practices of various religions starting around 1500 BCE in Hinduism and Yoga as well as Buddhism around 535 BCE. Various types of contemplative practices can also be found in the Christian, Muslim and Jewish traditions. Within Buddhism there are two primary forms of meditation. One is called Samatha which is concerned with calming the mind. The other is Vipassana or insight meditation and is a much more strenuous and complex form of meditation intended to bring about an awareness of the True Nature of Mind. It is from the Buddhist Samatha form of meditation where we find the roots to mindfulness as it was first introduced to the West. The growth in understanding of mindfulness from a medical and scientific perspective is thought to have started with the work of Jon Kabat-Zinn around 1979 when he developed his popular Mindfulness-Based Stress Reduction (MBSR) program and opened the Stress Reduction Clinic at the University of Massachusetts. Once evidence began to show that the MBSR program was having a significant effect on emotional regulation and stress, other psychologists and scientists jumped on board and the research into mindfulness has grown steadily since around 2000. And although meditation and mindfulness have their roots in religious and spiritual practices, it is widely practiced today in the West by secular (non-religious) as well as non-secular (religious) groups. from any spiritual or religious background (or none at all). 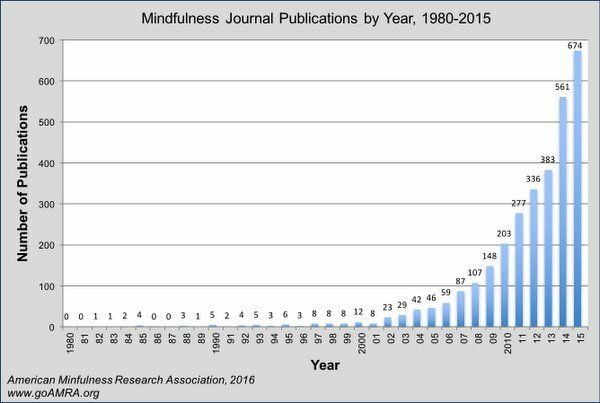 (2) Mindfulness Research Grows Exponentially! It is not hard to see why mindfulness has become so popular considering the many health and wellness benefits which have now been demonstrated through peer-reviewed science. Since 2002 the number of scientific articles published on meditation and mindfulness has grown exponentially and this has no doubt contributed to the medical community getting on board with the increasing number of doctors prescribing a mindfulness practice for many of their patients. The explosive growth in mindfulness over the past 15 years has been driven by a corresponding (also explosive) growth in the amount of scientific research conducted confirming the many emotional, psychological and physical benefits to mindfulness. (3) How Does Mindfulness Work? Since this post is intended for a general audience I am only going to summarize the results of some key areas of research into mindfulness from the fields of neuroscience and brain imaging. For more in depth reading on the topic, please check out the resources section below. Across most of the research investigating the neurological effects of mindfulness, there appears to be consistent findings where control group studies after an 8-week meditation practice produce measurable changes/increases in gray matter in the areas of the brain associated with attention, learning, memory, perspective taking, empathy/compassion as well as sleep control. The researchers also found decreases in gray matter in areas associated with fear and perceived stress. Put another way, after 8 weeks of a 40-minute-a-day mindfulness practice, significant and measurable changes to brain wiring were observed which resulted in increased attention, improved learning/memory, improved sleep patterns and higher rates of empathy and compassion as well as reduces stress and fear levels. Another important discovery in the neuroscience of mindfulness is around a mode of thinking and pattern of activity known as the “default mode network” (DMN). Think of the DMN as the “normal” pattern of brain activity and activation when you are in a “normal” state of mind just thinking about this and that. “When the default network is active, you are thinking about your history and future and all the people you know, including yourself, and how this giant tapestry of information weaves together.” The problem with always being in this “default” mode of thinking is that there is little or no thought, or awareness, of what’s going in the here and now. A cool breeze becomes an indication that winter is coming, and not simply the experience of a nice cool breeze. For some reason, as yet unknown, shifting one’s attention to the here and now has a significant positive effect on psychological and emotional states. Mindfulness literally changes the wiring of your brain (neuroplasticity) so that over time the many emotional, psychological and physical benefits become permanent if the practice is maintained. Meditation and mindfulness have been practiced for thousands of years by ten’s of millions, possibly billions of people across the world. Although rooted in ancient spiritual and religious practices, meditation and mindfulness are simple techniques for training the mind through paying attention to the present moment which results in a re-wiring of the brain. Forty minutes (or more) a day of mindfulness over a period of (at least) eight weeks produces measurable and noticeable changes in brain tissue, resulting in improvements to mood, focus/attention, empathy/compassion as well as emotional regulation, improved sleep patterns and reduced stress and fear. If your interested in learning more about meditation and mindfulness, or expanding your own practice, check out our online course starting every February through the Alef Trust. This comprehensive course on meditation and mindfulness is brought to you by Dr Tamara Russell from the Mindfulness Center of Excellence. Holzel, B. et al. (2011). Mindfulness practice leads to increases in regional brain gray matter density. Psychiatry Research. 191, 36-43. Holzel, B. et al. (2013). Neural mechanisms of symptom improvements in generalized anxiety disorder following mindfulness training. Neuroimage – Clinical. 2, 448-58. Singleton, O. et al. (2014). Change in Brainstem Gray Matter Concentration Following a Mindfulness-Based Intervention is Correlated with Improvement in Psychological Well-Being. Frontiers in Human Neuroscience. 8(33). Stange, JP et al. (2011). Mindfulness-based cognitive therapy for bipolar disorder: effects on cognitive functioning. Journal of Psychiatric Practice. 6, 410-419. Tang, Y., Holzel, B., & Posner, M. (2015). The Neuroscience of Mindfulness Meditation. Nature Reviews – Neuroscience.